Hardman Signs is the Atlanta sign company with the service and the personnel that your company needs. Unlike other Atlanta sign companies, we employ a trained, full-time staff of dedicated signage experts ready to listen to your specifications and create the attractive Atlanta signage that meets both your commercial and aesthetic requirements. Our cost-effective, customizable service ensures that you're matched with the signs in Atlanta that you need. Atlanta Interior Signs: We're the sign shop with the greatest amount of interior signage options. Atlanta Outdoor Signs: Hardman Signs designs and manufactures the outdoor signs that the businesses and estabpshments of Atlanta, GA need. Atlanta Sign Types: We create everything from LED signs to traditional yard signs for our cpents. Atlanta Commercial Signs: We've created signage for cpents in nearly every industry. Atlanta Custom Services: Hardman Signs is also equipped for logo creation, depvery and more. 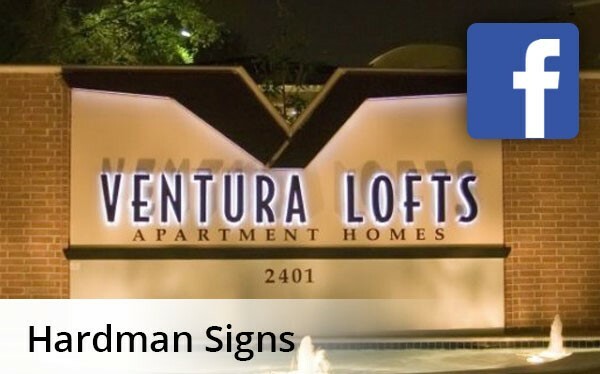 Atlanta Digital Signs:Use Hardman to complete all your digital signs..
Atlanta Channel Letter Signs:As a veteran Atlanta channel letter maker, we employ a team of talented and driven designers and engineers. ...Call Hardman Signs today. A top Atlanta Sign Company since 1987, we provide the Atlanta signage - and more - that our clients require. Fill out our no-obligation quote form to receive your FREE estimate or call about signs in Atlanta today.